Apple Blossom Se7eN theme is an interesting way to personalize your system appearance. 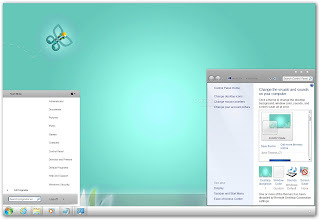 The theme will change every aspect of your desktop: the windows, the start menu and the cursors. You simply have to follow the installation instructions and you will have a brand new desktop! Note: In order to install this theme, follow the instructions in the Read it before doing anything.txt file.